With our current technology trends, it’s tough to keep up with the best gaming monitors. Every year there’s always some kind of improvement to gaming monitors, so we’re here to help condense down to the only a few that are noteworthy. It isn’t only the graphics that you should consider when you are looking for a full gaming experience. 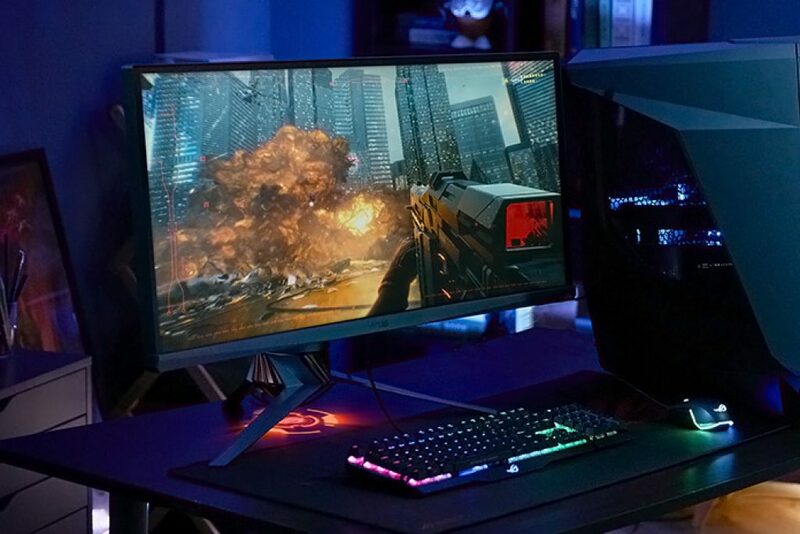 With this complete buying guide, you will know exactly what to look for in a gaming monitor and you will know which one is the best option for you. Is it better to get a monitor or a TV for gaming? 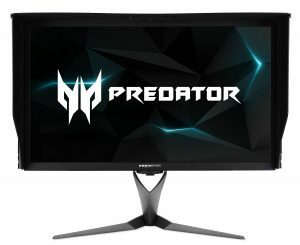 What size gaming monitor should I get? What is making this monitor stand out? If you are looking for the largest gaming monitor, then you should look at the Asus ROG 34 curved monitor. There are different sizes also available if you don’t have space for the 34-inch monitor. It has G-Sync technology and eye care technology. Making this monitor great for playing for hours on end. It has an IPS panel. It offers an Ultra-Wide QHD panel for better gameplay. Wider screen and better quality. One of the reasons why this is one of the best gaming monitors is because it has a refresh rate of 100Hz. This is super-fast. Faster than most other monitors. If this 34inch screen isn’t large enough for you, you can purchase another screen and enjoy edge to edge display. The setup will be easy and you will enjoy double the screen, in no time. What is making this monitor stands out? Beautiful monitor, premium in every way. The fast 120 Hz Dell Alienware will take your gaming experience to new heights. 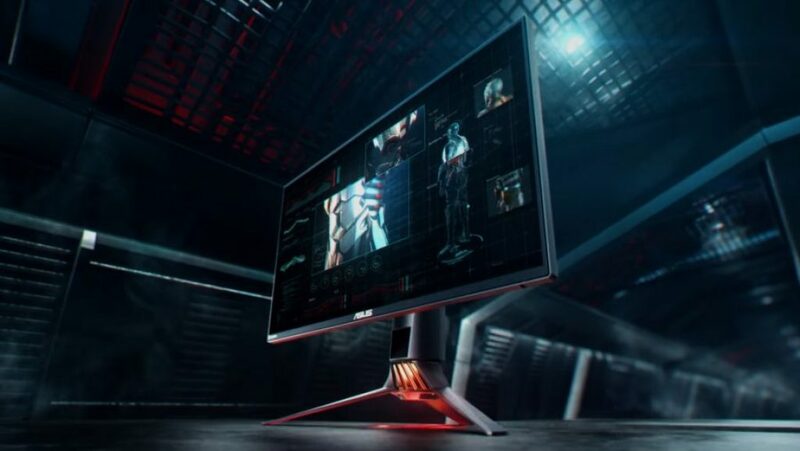 The monitor has customizable AlienFX (with 4 different lighting Zones) which will provide you a personalized gaming experience, and have a dynamic look to make your monitor reflect your style and deliver deeper immersion in the game. Another great 34inch gaming monitor is the LG ultrawide IPS screen. The screen is 21:9 ultra-wide, curved IPS monitor. You will not get a better game monitor easily. IPS-LED panel type ensures economical gameplay. With 1ms motion Blur reduction and 144Hz refresh rate, this is for sure every gamer’s dream monitor. With full HD, this is a game monitor that will give you all the gaming experience you want. With the AMD FreeSync of this monitor, you are going to have hi-res, fast-paced games. A unique feature that you can enjoy with this gaming monitor, the crosshair feature. This is a feature is to enhance firing accuracy in first person shootings. Another great feature is the black stabilizer. To ensure that you are able to see movement in the dark areas of shooting games. What is making the monitor stand out? Just because this gaming monitor is 32 inches, it doesn’t mean that this is second best. There are a lot of great features that will make you forget that there are larger gaming monitors out there. For example, it offers 4K UHD IPS with a resolution of 3840 x 2160. With the Acer Predator, you can choose between the 32-inch monitor or the 27-inch monitor. Making sure that you are going to choose the right size for your own preferences. A great feature about the Acer Predator is the tilt angle of the monitor. It has a tilt angle of -5°to25°. The response time is 4ms. The two signal inputs that you can get with this monitor is 1 x HDMI & 1 x Display Port (v1.2). Making sure that you can even play one of your consoles with this gaming monitor. A 28-inch gaming monitor, ideal for serious gamers. You can expect a high-quality LED UHD 3840×2160 resolution. Monitor. You will be experiencing Brilliant Brightness and Deep Contrast while you are playing your favorite games. Fast 1ms GTG Response Time is something that you will enjoy with this 4K gaming monitor. AMD FreeSync for an Intense Gaming experience. Smart focus feature for better concentrating while playing games. You will also be able to reduce eye strain, no matter in which lighting you are playing. The BenQ is offering bigger sizes than the 28 inches if you prefer to go bigger. Ports that are available on this monitor is the HDMI2.0 x2/DP1.4. Letting you connect to two gaming consoles. A feature that you might like is the wall mounting option that you can have. Making sure that you can have even more space for playing. The Dell 24-inch WUXGA Monitor with a resolution of 1920×1200 at 60Hz refresh rate. This might not be the largest and biggest gaming monitor, but this is still one of the best gaming monitors that you can find. This monitor offers a 16:10 Aspect Ratio and 6ms response time. There are a couple of great input features that you will find with this monitor. There are HDMI, Mini DP, DP, Audio line out, USB 3.0 with USB 3.0 upstream ports available. Making this a versatile gaming monitor for Consoles like PS4, and Xbox1. 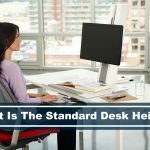 It has a height adjustable stand that you can adjust according to your needs. Making it even more comfortable to use. 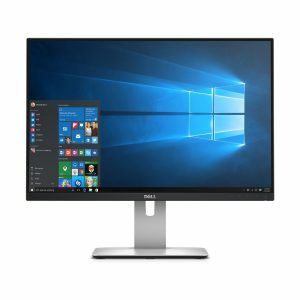 You can even enjoy more with this Dell monitor with a dual or multi-monitor setup, perfect for those using a standing desk converter. Putting two monitors side by side for the larger viewing experience. This is a great size for those that like to use their laptop for gaming, as the 24″ is compact and lightweight, perfect for those wanting to add this to their laptop gaming accessories. The Acer Predator is a 27inch 4K UHD gaming monitor. It is one of the latest gaming monitors from Acer and provides all the latest technology for a better gaming experience. With IPS Display and NVIDIA G-SYNC Technology, this is a great gaming monitor for young and old. It has a response time of 4ms and it has a refresh rate of 144Hz. This monitor is providing richer colors than what you normally will get from a gaming monitor. A great and unique feature that this Acer has is the Quantum Dot Dominance feature. Experience brighter colors and more accurate colors. Another great feature is the 384 individually-controllable LED backlight zones. This is the reason behind the more realistic colors. It has a 16:1 aspect ratio and offers 3840 x 2160 pixels. It can be mounted on a wall, and all the screws are included. A 28-inch 4K gaming monitor that is high in quality and have some great specs. It has 4K/UHD panel for the best quality graphics. With wall mount features, you can install the monitor on the wall, for having more available space on your desk. The Asus is installing fast and you can enjoy your new monitor in no time. With the popular ASUS Eye care technology that ASUS provides ensures that you are protecting your eyes better. Especially, if you love playing for hours. There are a couple of ports installed with this gaming monitor. It has HDMIx2, DisplayPort, USB3.0x2. Ensuring that you can install 2 game consoles at the same time. A fast 1ms response time ensures that you don’t have a flickering monitor anymore. It offers 3840×2160 pixels display resolutions. When you are considering purchasing a gaming monitor, there are a couple of things that you should look for. 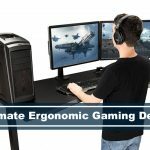 This is the only way that you can know for sure that you are purchasing one of the best gaming monitors that you can find. These are things that you should consider when you are purchasing a gaming monitor. The most important thing that you should look at when you are looking for a gaming monitor is the resolutions. The higher the resolutions the better quality the graphics will be. With this information, you will understand the resolutions a lot better. A full HD monitor is the 1080p. This is the monitor that most people are looking at. The QHD/2K is even better than HD and comes with a resolution of 1440p. This is monitoring that professional gamers are looking for. Not many people know that QHD means that the resolutions are higher and better. The third resolution that you should know about is the UHD/4K. This is the best screen resolutions that you can get. This is the monitor that is harder to find, but that will be value for money. This is the monitors with the 2160p resolution. If you want to have the best monitor, this is the resolution to look for. With size, it is the bigger, the better. However, you should also consider the space that you have available for the screen. Most people choose the 24 inch or the 27-inch game monitors. With the refresh rate of a monitor, there are three different refresh rates: The 60Hz, the 144Hz, and the 240Hz. This is the feature that not many people understand. This is the rate of how fast your screen is refreshing in a second. The higher the refresh rate, the better. This means that if you want to have a gaming monitor, you should look for the highest refresh rate. This is the 240Hz. The 144Hz will also do, but you should avoid the 60Hz. This is the lowest refresh rate and won’t give you the quality that you want in a gaming monitor. The pixel response is how fast the pixel is going to refresh. The faster the pixel response, the better quality the monitor will be. The pixel response is measured in milliseconds. The faster the better. Most gaming monitors have the pixel response time on the list of features. Today, you are going to get two different panel technology. The one is the TN (twisted nematic) and the other one is the IPS (in-plane switching). 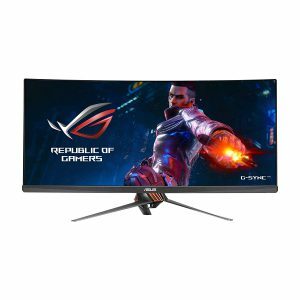 However, which one is the best for a gaming monitor? You don’t really need to know what the TN and the IPS really is. The only thing that you should consider is that the IPS is a much better-quality panel as the TN. Meaning that if you are looking for a great gaming monitor, that you should go for an IPS panel. This is the better choice if you want to ensure that you have the best gaming monitor. The TN panel doesn’t mean that it is a lower quality monitor, however, the quality will just not be the same as with the IPS. A question that many gamers have. 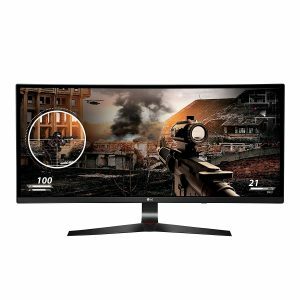 Which one is the best monitor for games? The curved screen, or the flat screen. The curved screens are still relatively new, and this is why gamers don’t really know why this is something that they should consider. The curved game monitor is ensuring that you have a much better view of the game’s graphics. You will be more comfortable in plying on a large monitor if the monitor is curved. The smaller monitors are better to play with the flat screen. 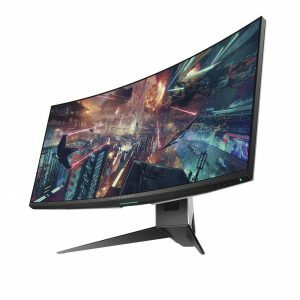 At the end of the day, you should decide if you have the budget for a huge curved gaming monitor, or if you want to go for the flat monitor that is normally a bit smaller. If you are a serious gamer, it is recommended that you are going to invest in the curved, high-quality gaming monitors. Another term that is really hard to explain is the G sync monitors and the FreeSync monitor. The only thing that you really need to know is that freeSync is normal, every day monitors that you can purchase. This isn’t really known as the best gaming monitors on the market. The G sync monitors are those with better graphics and that are providing better effects. You will find the G sync with the gamer’s monitors. And, this is normally the monitors that are more expensive. The last thing that you should consider is the price of the gaming monitors. 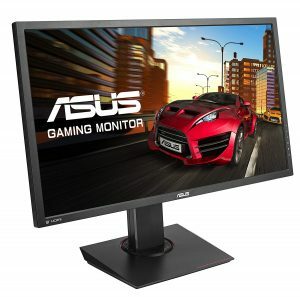 There are some of the monitors that are more affordable than other monitors. However, if you want to have one of the best gaming monitors, you should not purchase the cheapest one you can find. You should look at all the other features first. Making sure that you are choosing the monitor with the best features. Then, you can start looking at the price of the monitor. Remember that when you are purchasing a cheap monitor, you are going to get a monitor that doesn’t have the features for a gaming monitor. One of the most common questions that gamers are asking. Which one is better for gaming. A television or a monitor? Yes, you can use your television for gaming, but only if you want to play for fun. And, if you have consoles that will fit into your television. When you are comparing the different features of a gaming monitor and a television, you will see that the monitor has better features. It doesn’t matter how big your television really is, it just isn’t made for games. The gamers monitors are designed for games, for professional gamers. And, it has the right resolutions for games. So, the correct answer is that you should rather consider purchasing a monitor for gaming, instead of using a television. The bigger, the better. This is a gamers motto. However, you should also consider the available space you have, and the budget that you have. The bigger the monitor, the more expensive it is going to be. Gamers are preferring the monitors that are between 21 inch and 27 inches. However, the 24 inch is the most purchased one. Because of available space and budget. 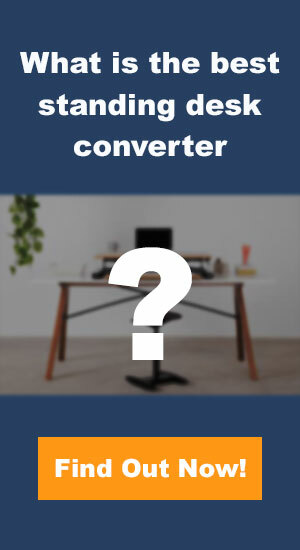 You should consider what is best for you, before you can decide if you want to purchase the largest monitor that you can find or the one that you can afford, and that you have the right amount of space for. 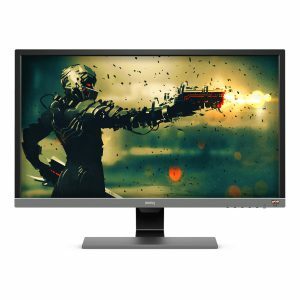 When you are playing games professionally or playing games on a regular basis, then you want to have the right monitor. You can use your everyday monitor for gaming, but this isn’t really recommended if you want to have the best gaming experience. 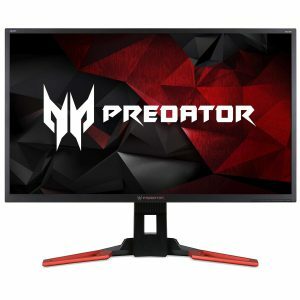 With this complete buying guide, you will be able to know the features of the best gaming monitor and you will know which monitors you can choose from. This will ensure that you are going to have the best possible gaming experience on one of the best gaming monitors that you can find.